Nanook. . Wallpaper and background images in the The लॉस्ट Boys Movie club tagged: the lost boys 80's vampires image movie picture dog nanook. Nanook!!! i <3 dat dog!! Its so funny how many people think he was a Siberian Husky.... Nanook was an Alaskan Malamute LOL!!!! Siberian Huskys are smaller and not and Have different color eyes...LOL Not to be a jerk or anything but, My family Breeds them and I know a Malamute when I see one!!! 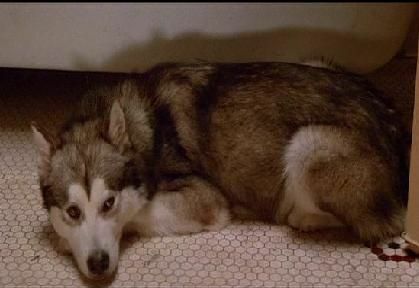 NANOOK IS AN AWESOME DOG AND HE SURE MADE THE MOVIE BETTER!! !